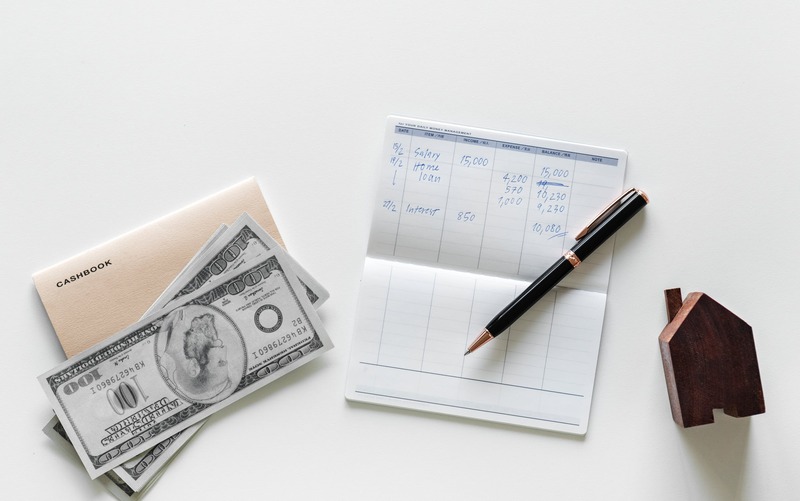 The IRS has a number of late-stage actions they can use to recoup back taxes, including wage garnishment, which is when the IRS takes some of your income from your employer before it reaches you. Wage garnishment is extremely stressful to experience. Not only is it a potential financial burden, it can also be embarrassing, as your employer will be notified of the levy against your income. But what do you do if you’re experiencing wage garnishment? How do you stop it? In this post, we’ll cover how you should deal with wage garnishment from the IRS. Before we get into what you can do about wage garnishment, let’s quickly go over why it happens. Wage garnishment is a type of levy, a way the IRS can seize your assets to recoup money they’re owed. Wage garnishment is one of the most common types of levies the IRS uses, as they try not to seize physical assets like houses whenever possible (it’s bad PR for them). To get the point of wage garnishment, a taxpayer will have had to ignore many IRS notices about a tax debt. After numerous notices about late taxes owed, a taxpayer may receive a notice called “Final Notice of Intent to Levy.” If that notice is also ignored, the IRS can proceed with a levy (such as wage garnishment) 30 days after the notice was received. If you are still within that 30 day period, you can take action to try to avoid wage garnishment before it begins. Contact us immediately for a free consultation if you have recently received a Final Notice of Intent to Levy. For those who are already experiencing wage garnishment, let’s move on to discussing how this stressful type of levy can be dealt with. It goes without saying that the easiest way to end wage garnishment is to pay your full back tax amount immediately. However, most people who are dealing with wage garnishment are simply unable to do this. So, let’s talk about some alternative ways you can deal with wage garnishment. If you enter into an approved installment agreement with the IRS, your wage garnishment will stop. An installment agreement is a way of paying your tax debt to the IRS in monthly installments, which can make settling tax debt much more manageable. If you enter into an installment agreement with the IRS, they will stop wage garnishment as long as you are paying your agreed monthly amount on time. Those who can prove that they cannot pay their full tax debt can sometimes qualify for an offer in compromise. An offer in compromise is a program in which the IRS will agree to let you pay less than your full tax debt. These can be challenging to enter, however, as you must prove your inability to pay. But for those who qualify, an offer in compromise can be hugely beneficial. And applying for an offer in compromise will stop your wage garnishment while your application is being reviewed and can sometimes fully stop it if you are accepted. If you’re in extreme financial hardship, the IRS may agree to give you currently non collectible status, which essentially puts a temporary hold on your debt. To qualify for this status, you must prove that your financial situation means that you cannot reasonably provide for yourself while also paying your tax debt. Currently non collectible status doesn’t eliminate your tax debt, nor does it stop penalties and interest from accruing on your debt. But it can give you temporary relief from IRS actions such as wage garnishment while you work to improve your financial situation. You have the right to file for an appeal for any levy the IRS places against you, including wage garnishment. If you disagree with the levy against you, you can appeal at any time, which can sometimes result in the removal of your levy. This is a temporary solution, but it’s one that can give you a bit of short-term relief from wage garnishment: change your employer. If you change your employer, it will take the IRS some time to track down your new employer and reissue a new wage garnishment against you. Bankruptcy is usually a last ditch effort for those dealing with tax debt. However, bankruptcy can be a useful strategy for taxpayers with certain kinds of debt. Sometimes bankruptcy can eliminate all or part of your tax debt, while other times it does not. But one thing that always happens during bankruptcy proceedings is a stopping of wage garnishment. The IRS can still take collection action against you after a bankruptcy proceeding is complete, but the bankruptcy process does put a temporary hold on collection actions. Bankruptcy is not the best solution for everyone. However, if it would be a good fit for your financial situation in general, know that it will also temporarily put a hold on wage garnishment. As we’ve discussed in this post, there are number of different ways you can deal with wage garnishment. But because everyone’s financial situation is unique, it can be hard to tell which strategy you should try. If you’re dealing with wage garnishment, contact Tax Defense Partners for a free consultation today. Our dedicated team of tax attorneys and licensed CPAs can help you make a plan to stop your wage garnishment as quickly as possible and can help you pay the IRS the lowest possible amount allowed by law.